Perhaps it was a slow news week. More likely, a Westport Woman’s Club member’s husband was a high-ranking Life Magazine staffer. Whatever the reason, on August 11, 1947 America’s leading photo magazine featured the organization in a 2-page spread. 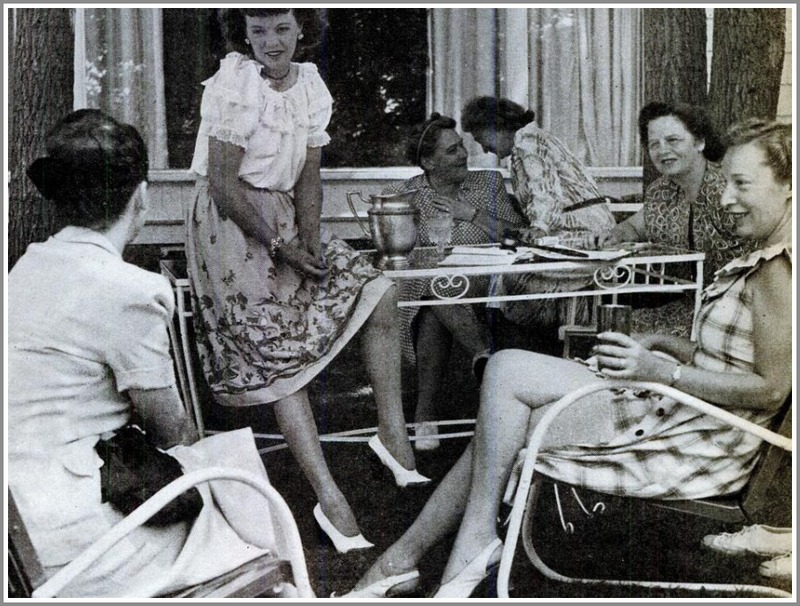 The Life magazine story included this photo of members of the Westport Woman’s Club. 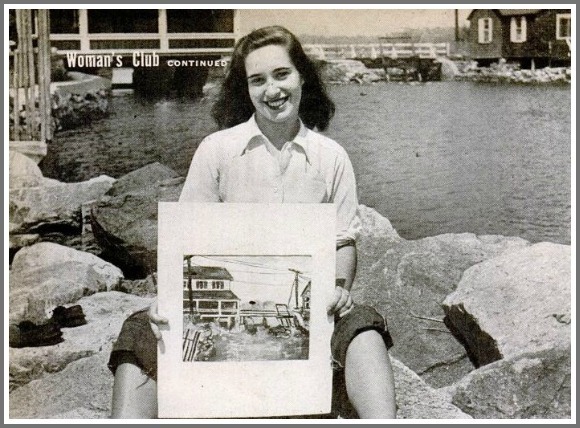 Instead — already 40 years old — the Westport Woman’s Club had transformed our “once somnolent” town through good works: organizing and funding street signs, public drinking fountains, garbage collections and trash cans, playgrounds, sidewalks, street lights, hot lunches in schools, and lifesaving equipment and a pavilion at Compo Beach. Now, Life said, the club was focused on a visiting nurse service, free milk for underprivileged children and a free dental clinic. They also provided over $1,000 in scholarships each year. Life reported that Ann Jones, 18, won a $300 art scholarship from the Westport Woman’s Club. 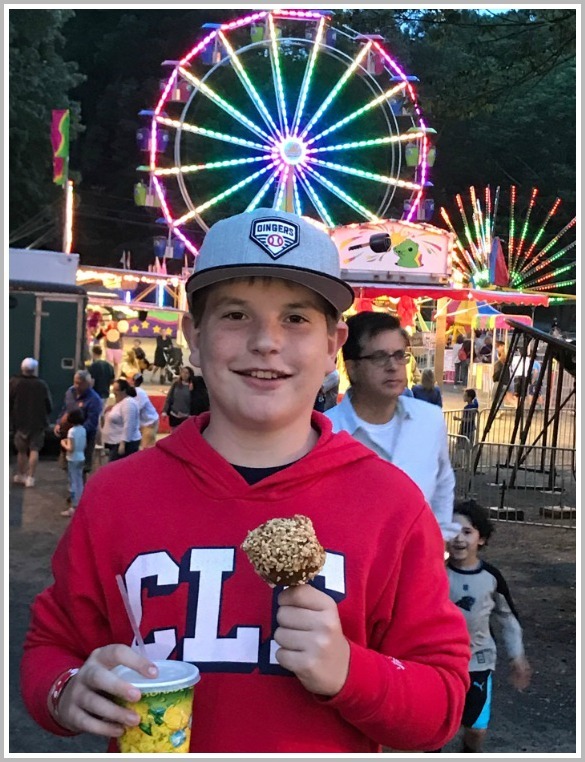 With 693 members — but annual dues of only $3 — members relied on the Yankee Doodle Fair to fund those projects. 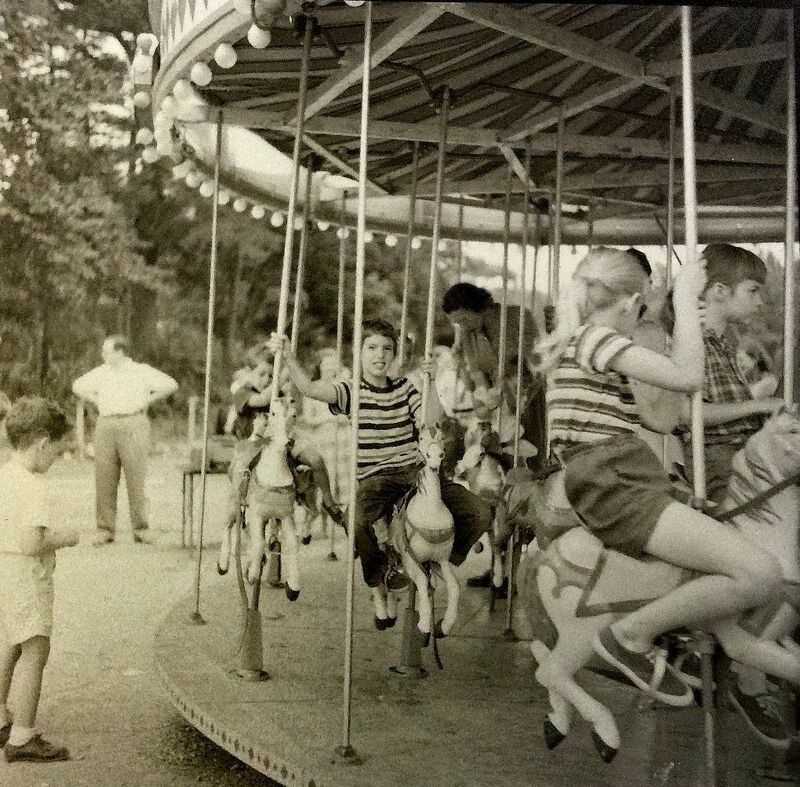 The 1947 event raised $18,000, with attractions like a merry-go-round, dart games, pony rides, and a raffle with prizes including cars, washing machines, luggage, watches and cases of scotch. 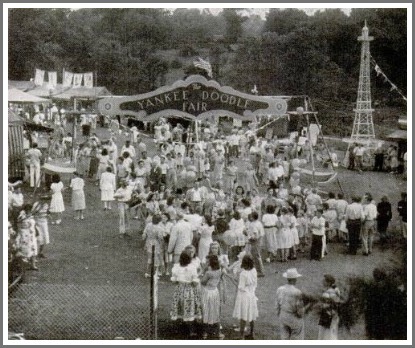 The Yankee Doodle Fair, as shown in the August 11, 1947 issue of Life Magazine. 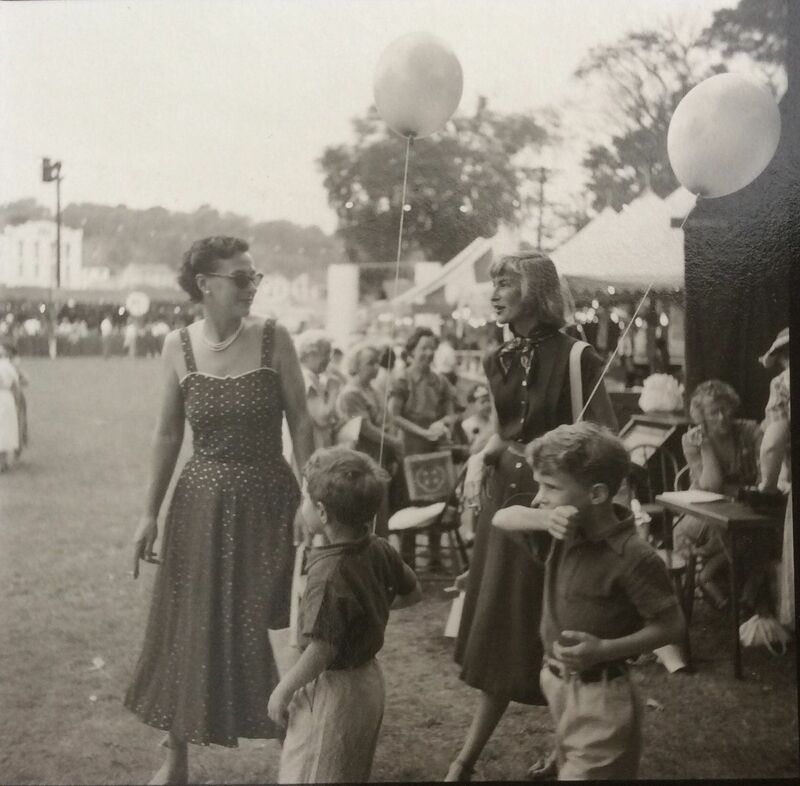 More than 70 years later, the Westport Woman’s Club — and Yankee Doodle Fair — are still going strong. Which is more than can be said for Life magazine. 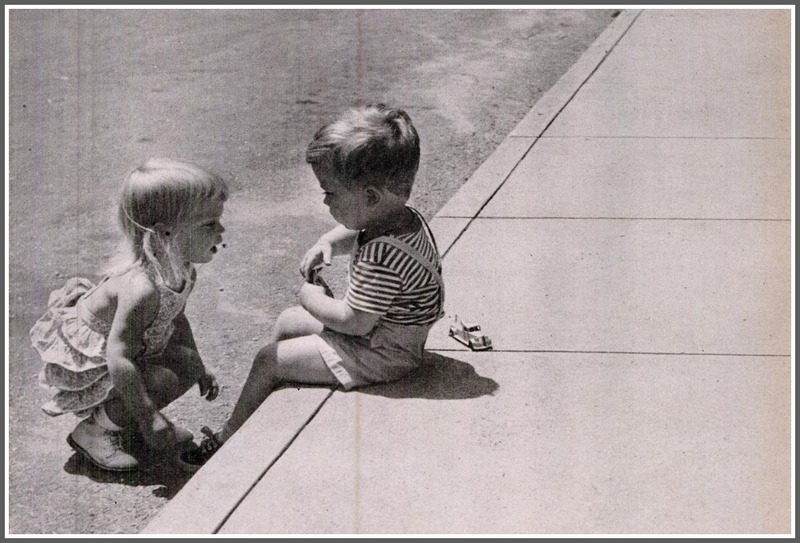 A caption for this Life magazine photo described children of Westport Woman’s Club members, playing on a sidewalk that the organization helped build. Westporters are great at getting rid of things. We tear down old houses. We run tag sales. We bring books to the library, clothes to Goodwill, and everything else to the transfer station. Does anyone here keep anything old? And if so, how old? 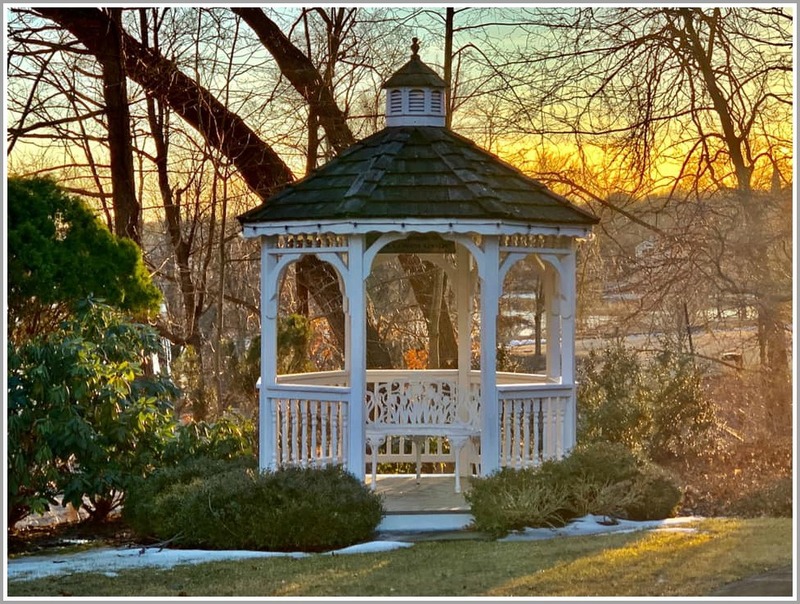 The Westport Woman’s Club believes many owners of private treasures may be surprised to learn their origin, purpose, age and current value. 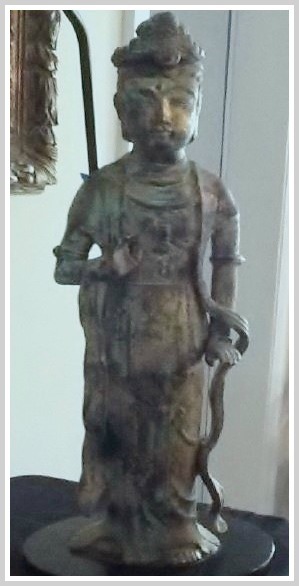 So this Saturday (June 9, 10 a.m. to 4 p.m., 44 Imperial Avenue), they invite the public to bring objects — or good photos and measurements of pieces too heavy to carry) — to Appraisal Day. 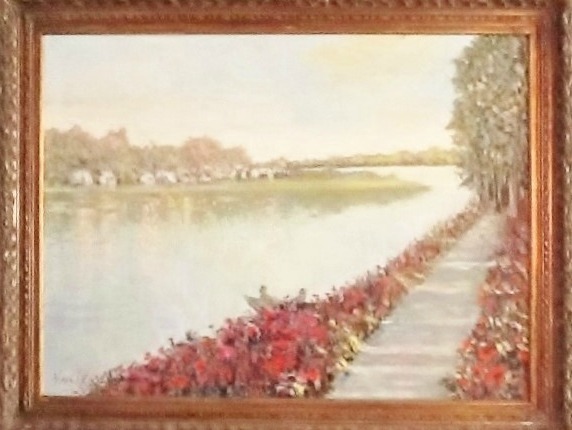 Nine professional appraisers — whose specialties include antiques, paintings, jewelry, clocks, books, and Asian and mid-century modern collectibles — will be on hand. All donate their time. The cost is just $25 for 3 items, $10 for each additional piece. 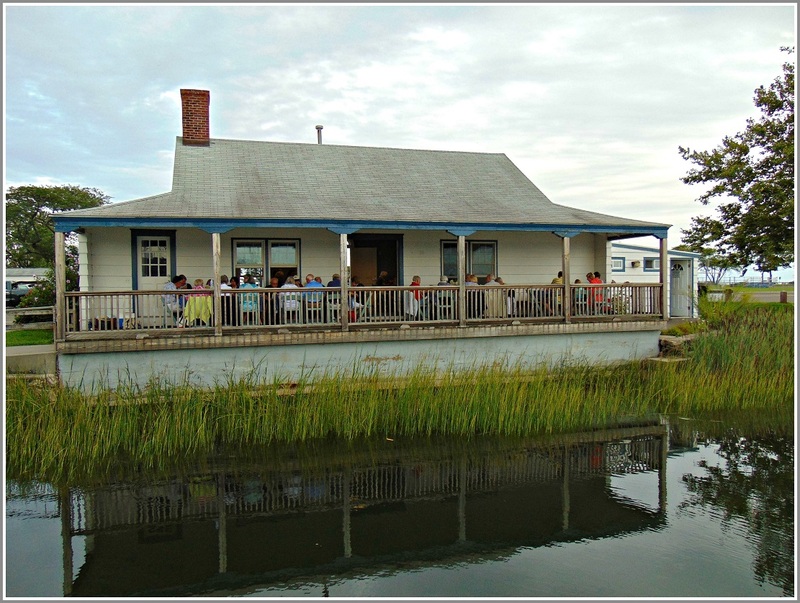 The fundraiser helps the Woman’s Club provide community grants and scholarships. Organizer Deb Fratino offers $100 to whoever brings the oldest collectible item. There’s also a random drawing for a restaurant gift certificate. PS: If you’re disappointed with an appraisal, you don’t have to haul your item back home. Just donate it to the Curio Cottage next door. They’ll be happy to have it! If you’ve been in Westport for any length of time, you’ve probably heard — and met — Jo Fuchs Luscombe. She’s been involved in every aspect of life here — politics, education, community service. If it needs doing, Jo has done it. But how many people know her back story? A Dallas native, she was just a year old when her father — an oilman — moved the family to Venezuela. Jo grew up speaking Spanish — and gaining an important, real-world view of life. She went to boarding school and college in Texas, headed to Katherine Gibbs secretarial school, got married at 19 and had a child at 20. Her husband was in oil too, so they headed to Libya. Jo learned Italian there, and was once more immersed in a very different culture. In 1969, the family moved back to the US. Her boys were 13 and 10. In her mid-30s, Jo and her husband divorced. Encouraged by Rev. Dana Forrest Kennedy, she threw herself into every aspect Christ & Holy Trinity Church. She became president of the Women’s Guild, served on the vestry, and ran fundraisers. She got interested too in the Westport Historical Society. 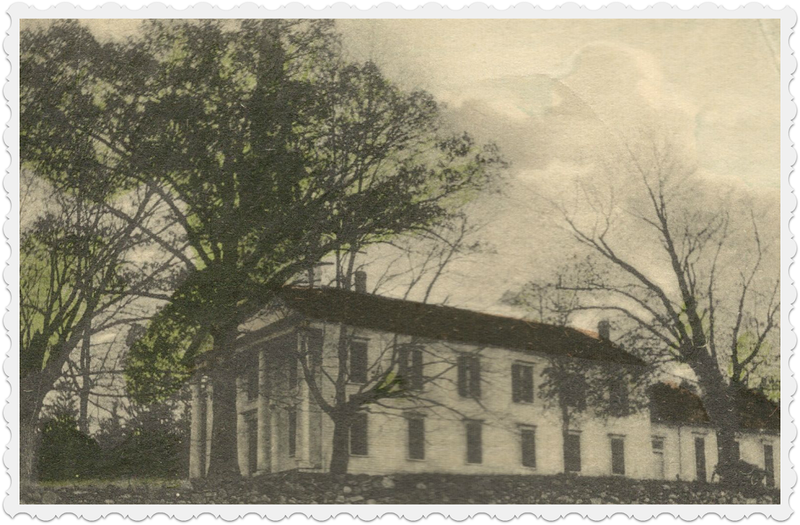 Jo was a driving force behind the acquisition and restoration of Wheeler House — owned at the time by her church — as the organization’s headquarters. 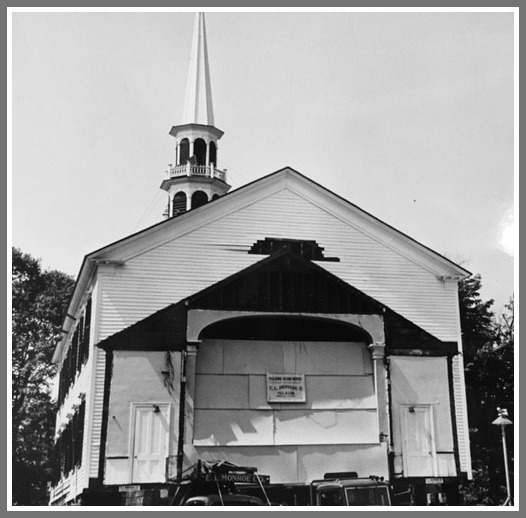 In 1980, Jo was asked to fill out an unexpired term on the Zoning Board of Appeals. Public speaking did not come easily. But — as with everything else in her life — she worked to master it. She won a full term on her own, then was appointed to the vacant post of 3rd selectman. In 1986, Jo headed up her friend and fellow Westporter Julie Belaga’s campaign for governor. Jo’s next step was the state House of Representatives. She served 5 terms — from 1987 to ’97 — and rose to Republican minority whip. Retirement from state politics did not slow her down. 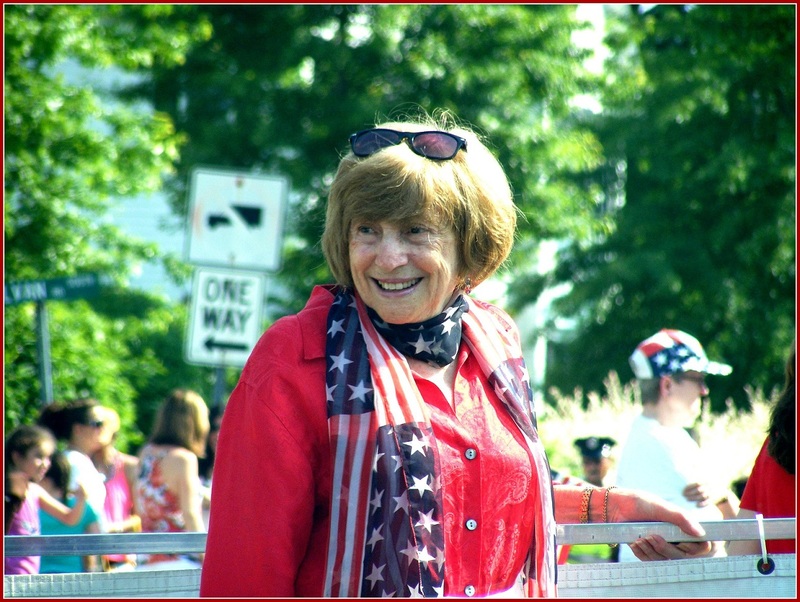 As a member of Westport’s School Building Committee, she helped oversee 5 major construction and renovation projects (including the new Staples High School). Remarriage did not slow her down either. 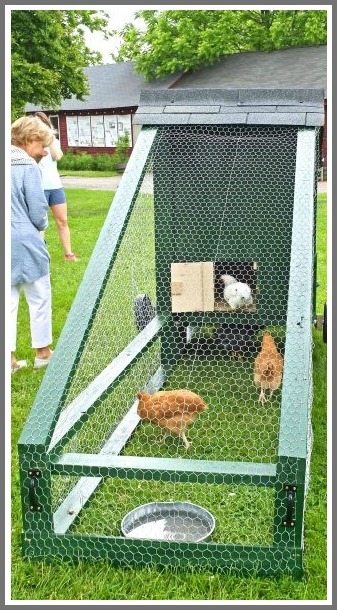 Jo has been president of the Westport Woman’s Club (where she helped run major events like the art show), and is active in Westport Rotary, Greens Farms Garden club, and countless others. As a longtime Westport Family YMCA board member, she helped shepherd the new building on its long, torturous journey from downtown to Mahackeno. 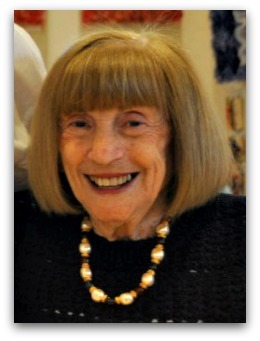 There’s one more thing: Jo Fuchs Luscombe is one of the nicest, most always-smiling people you’ll ever meet. Congratulations, Jo. And thanks from all of us, for all you’ve done in so many ways. 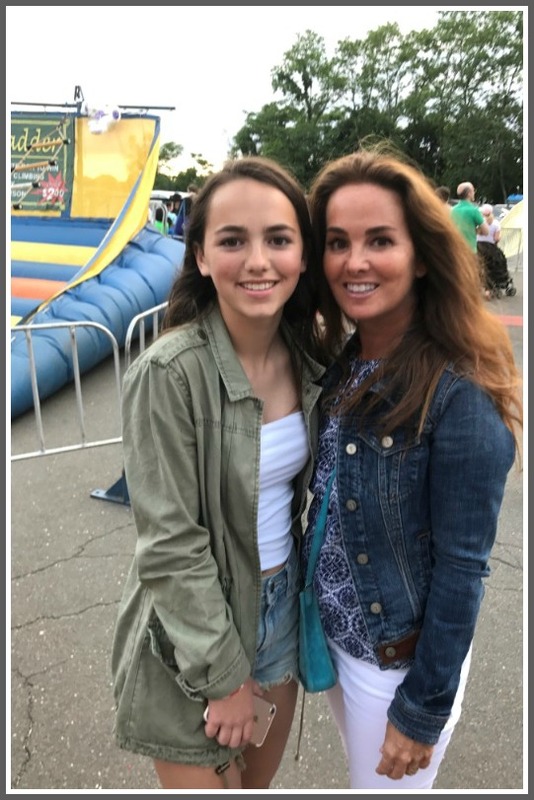 Westport’s annual rite of almost-summer — the Yankee Doodle Fair — kicked off last night at the Westport Woman’s Club. The first night always attracts a horde of tweens and young teens. Alert “06880” reader Andrea Pouliot was there, with kids and a camera. Sean Collins, in a timeless scene. 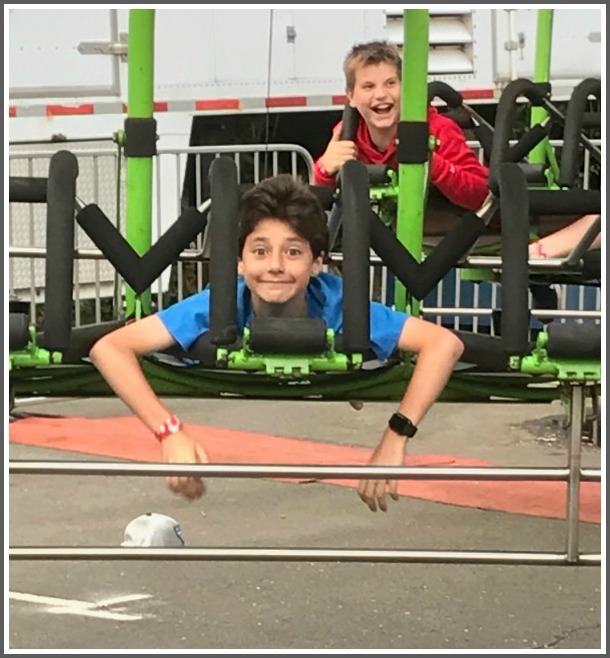 Eliot Klein enjoys the ride. 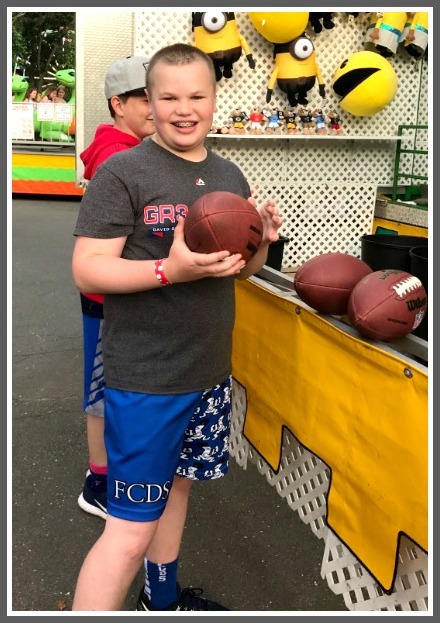 Aiden Rourke is a rising 7th grader at Fairfield Country Day School. He looks forward to playing football at Staples one day. Andrea Pouliot and her daughter Callie. 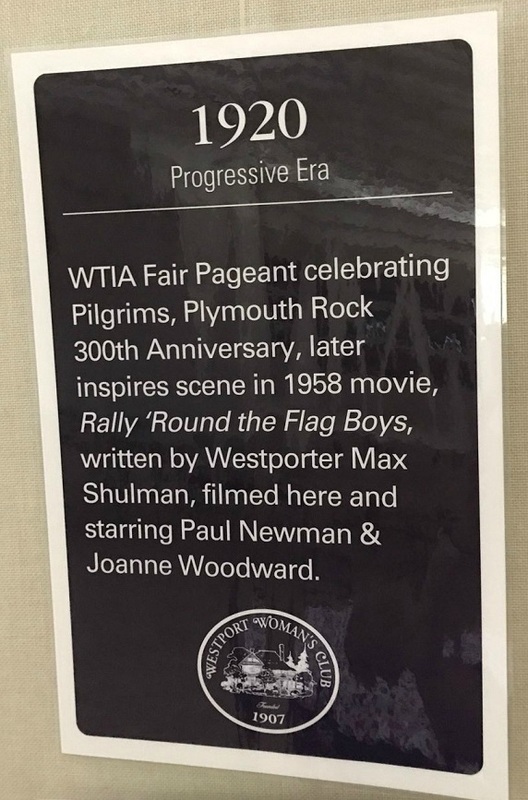 For 110 years, the Westport Woman’s Club has sponsored the Yankee Doodle Fair. 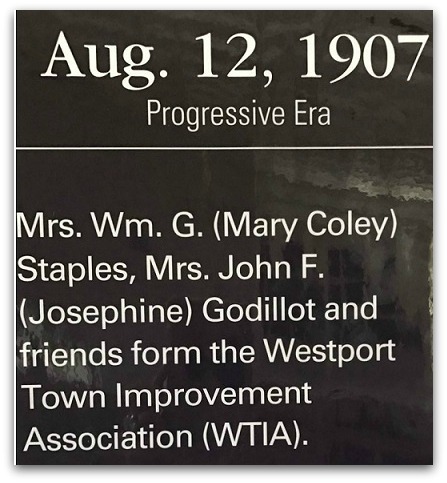 Nearly 120 placards recount all those years of Westport Woman’s Club fundraising, and service to the town. The story begins long before women could vote, and provides a fascinating window on women’s history, locally and nationally. It also provides insight into public health and social services delivery here, before and after town government got involved. It’s all for a great cause. Funds raised at the Fair go right back into the community, as grants and scholarships. Just as they have for the past 110 years. … and a very intriguing third. Pam Ehrenburg — Pam Blackburn, as she was known in her Yankee Doodle-going days — has unearthed some fascinating old photos. 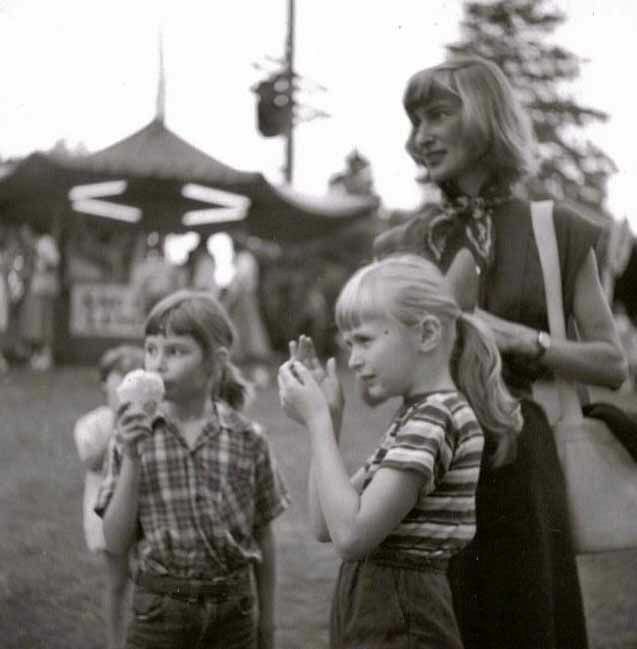 All were taken by her father, famed magazine photographer George Barkentin. Some of the fashions are different. 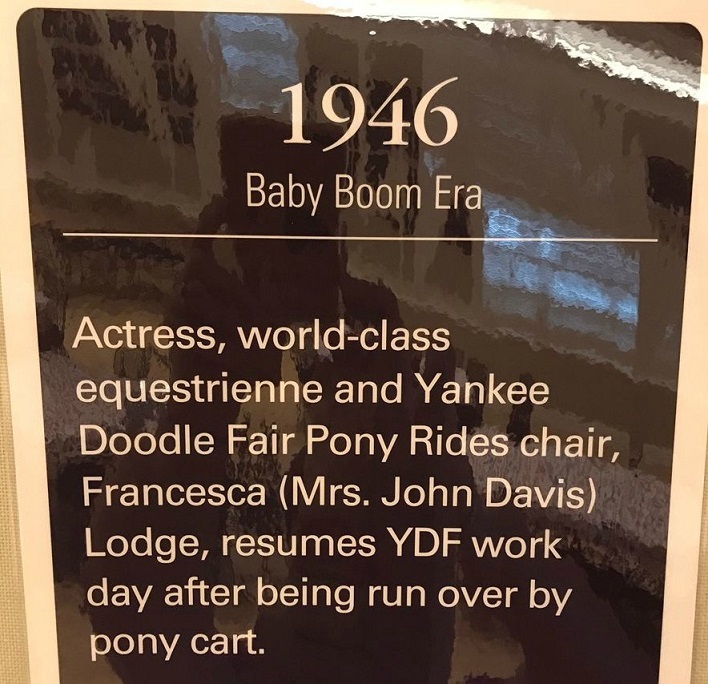 But in many ways, the Yankee Doodle Fair is timeless too. This looks like Jesup Green — with National Hall (then Fairfield Furniture) in the background, across the river. This is noted writer Parke Cummings. He may have walked over from his home on the corner of South Compo and Bridge Street. 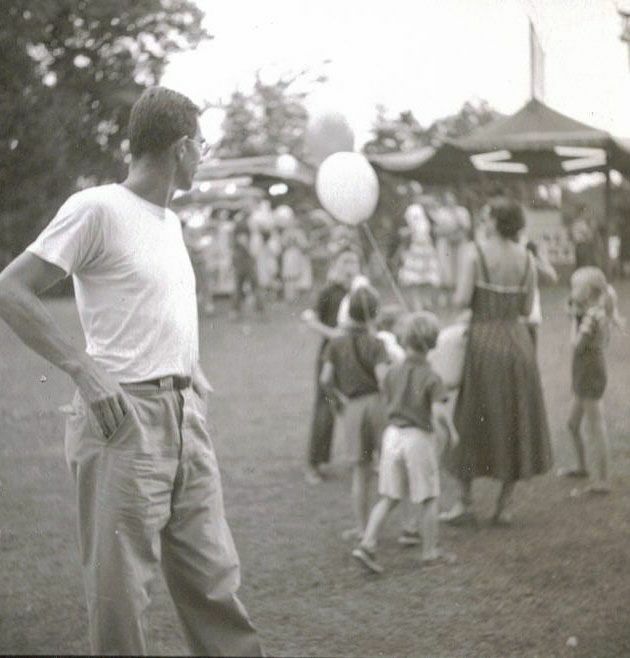 He owned a tennis court — still there — that was open to anyone who wanted to play or learn. 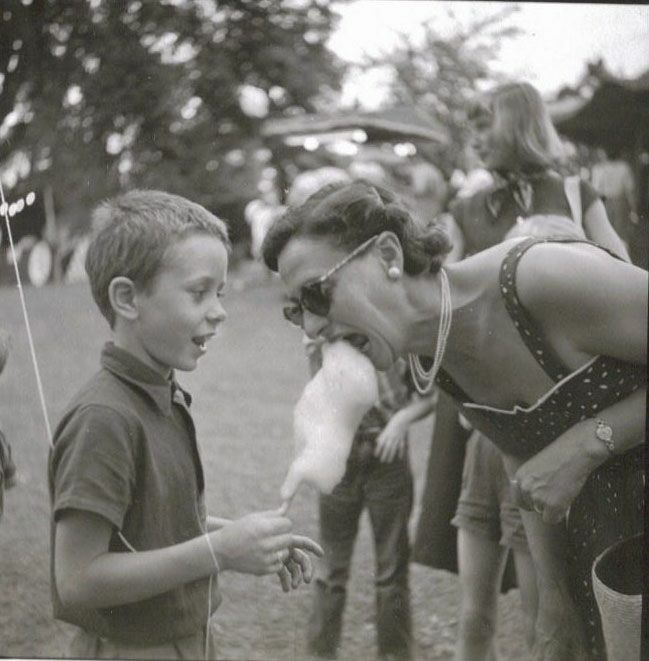 Marjorie Teuscher and her son Phil. Her husband — a doctor — owned real estate downtown, including the building that is now Tavern on Main. Phil — all grown up — still lives in Westport. Pam Blackburn — who sent these photos from her father, George — is shown here with her sister Perii and their mom, Jessica Patton Barkentin.